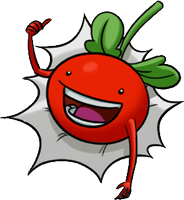 Salad Hunt is inspired by classic arcade shooters and compresses them into a mobile form that is accessible to the next generation of gamers. 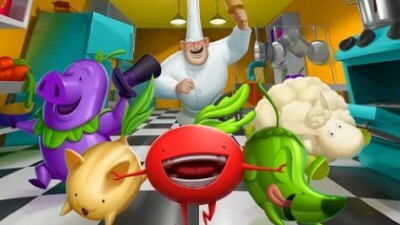 Players take the role of The Chef and find that their kitchen has been invaded by salad ingredients that have come alive as cute, but mischievous characters. 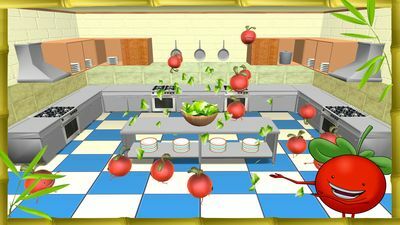 Lacking conventional weapons to defend himself, The Chef tosses forks, bowls, and lettuce at them in the hope of saving what remains of his kitchen, but ironically destroys it even further in the process. Salad Hunt captures these moments of mayhem without the use of realistic violence. 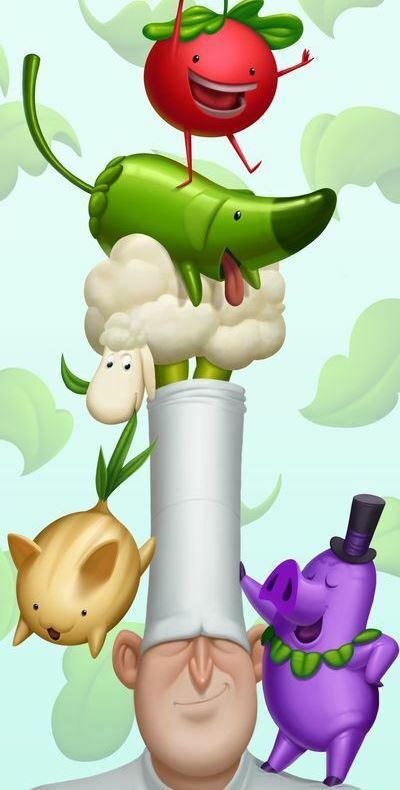 No animals or kitchens were hurt during the making of this game… but lots of salad was eaten. Mischief incarnate and enjoying every moment of it. A fearless extrovert in miniature form. Pomoh's best friend and occasional mount. Easily excited and gets HOT when angry. A kind soul that lazily watches the kitchen chaos unfold... then falls asleep in the middle of it all. Helpless kitty that takes one step at a time, but still falls victim to every trap. The smell of onions makes her cry. An evolved eggplant with a degree in vegenomics. His ego ‘stems’ from his fashionable taste in hats. A responsible restaurateur that wanted the freshest ingredients, but got more than he bargained for. Salad Hunters Inc. was founded in 2015 by brothers Telly Lee and Sunny Lee, life long gamers since the NES and Apple II. Salad Hunters is focused on re-imagining classic gaming experiences they fell in love with for future generations of gamers.